Cigar Insider: Darryl Lieser of Isla de Cuba Cigar, Inc.
Darryl Lieser found the inspiration for his own cigars years ago at a well-known watering hole in the desert. Celebrating an investment deal at the Phoenician’s Thirsty Camel Lounge in Scottsdale, Arizona, a client bought them a couple of 1956 Montecristo No. 3s. He decided then that if he ever pursued his dream of creating a cigar, that legendary Cuban vitola would be his model. About three years ago, Lieser began working on a blend and last year he got booth space at RTDA with Altadis, which produces Isla de Cuba in Honduras for Lieser. He shipped his first cigars in February. 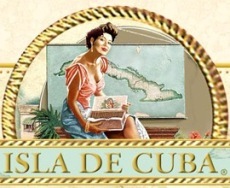 Isla de Cuba Cigar, Inc. is headquartered in Tampa and Lieser, the president, splits his time between the Cigar City and Chicago. Right now, the cigars are available in two versions. The natural, the one Lieser feels is most reminiscent of that ’56 Monte, has an Ecuadorian Connecticut wrapper with Nicaraguan binder and a mix of Dominican, Nicaraguan, and proprietary farm fillers. The maduro has the same filler and binder with a Connecticut broadleaf wrapper. They come in five sizes ranging from a 7×52 Churchill to a 5.5×44 Corona. Prices are $6-8. Lieser calls them mild to medium, an everyday cigar. You can find a little information at the company’s website, though it remains under construction. To get the word out, Lieser is hitting the road. When I talked to him, he had just pulled over while driving in Michigan and was heading to another cigar event in Ohio. His calendar is dotted with future stops at cigar shops around the country. “I think that the only way to build credibility and to build brand awareness is to do events in conjunction with the retailer so we can educate the public on our product — a great cigar,” he said. It is also necessary, he added, to have the patience to develop personal — and in-person — relationships with retailers so they’ll know it’s a brand they can count on. Odds are you’ll be able to decide for yourself. Check with shops in your area. You’ll likely find Lieser and Isla de Cuba cigars headed your way. I enjoyed your review of the Isla natural, as I do all of your boutique reviews. Seems to me like boutiques are a great way to get wonderful sticks for less cash. Are you guys planning a review from Isla's maduro line? We are planning a full review of the Isla de Cuba Aged Maduro Robusto in the next week or so. this guy is nuts if he thinks $8 is a reasonable price for an everyday mild to medium bodied cigar… does he know you can get a Padron with tobacco that is aged 2-3 years for $2-3 a stick? I wouldn't say he's nuts at all. I bought a box of the Classic Belicosos after reading a review here and have been really happy with the purchase. Tremendous smoke. Only costs about $6 apiece. Well worth the money if you ask me. my point is… you can get a Fuente Spanish Lonsdale for $3, a Padron Londres for $2, a JdN lancero for $3, an Oliva Serie O for $3… I don't understand how these new guys think they can sell an everyday cigar for $6-8 and be successful… you can even get a super premium Padron 1964, Ashton VSG or some of the smaller OpusX sizes for $8-9. In my view, you gotta really prove yourself before you can sell your cigars in that premium price range… Oh well, good luck to him. I have to agree…pricing seems out of whack but I'll give 'em a shot, JR has them at half price this week and $4 a stick is easier to swallow than $8 a stick. Go JR!